Lil G (left) of E-93 is pictured with Gil Jones, Jr., Promotions Director, Cumulus Broadcasting. For the ninth consecutive year, Wesley Community Centers of Savannah, Inc. was honored to have E 93-Radio host the annual “Up on the Roof” event, which took place on Tuesday, November 24, 2009. Radio personalities— including the fabulous Lil Geezy, Kenya Cabine, and Krystal–put any fears of heights or inclement weather aside and climbed to the top of Wesley’s roof to do their broadcasts live. 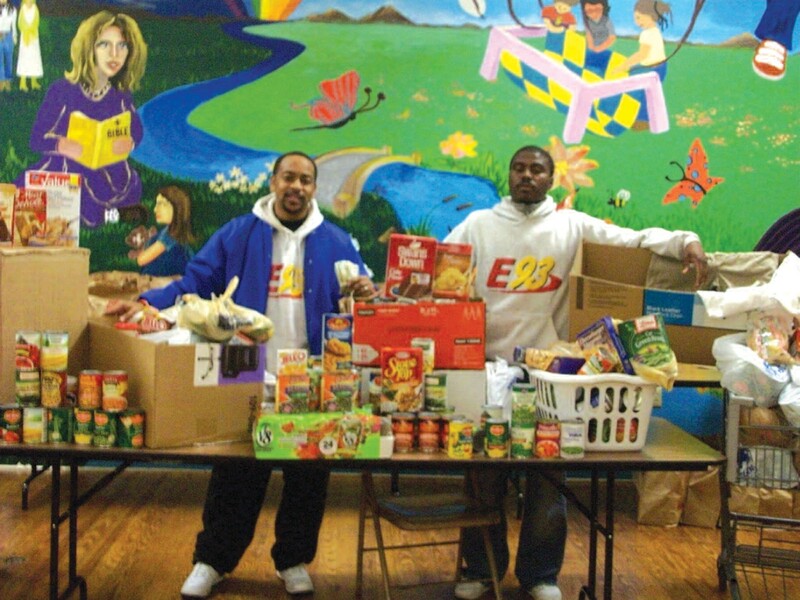 Throughout the day they encouraged listeners to bring critically needed donations to the agency. This year they inspired listeners to bring monetary donations, food, and clothing to assist almost 500 families in need. Wesley serves women, children, and families who are homeless and low-income. Many are classified as the working poor, the elderly, people with differing abilities, and survivors of domestic abuse. Our numerous programs including quality child care, youth services, adult education, a day shelter, and more all work together to provide a hand up, not a hand out. Want to help out too? Call Wesley at (912) 236- 45226 to learn more about the agency and our upcoming annual fundraiser, The Love Walk/Run, scheduled for Saturday, February 13, 2010.